Diagnosis, immediate prescriptions, specialist referrals and medical certificates all from the comfort and convenience of home or the office. see a doctor from your phone or tablet today. Key mental health issues such as anxiety, depression and phobias impact many people. GP2U doctors liaise closely with mental health specialists in the provision of appropriate, and often on-going, treatments. We've made the confusing and expensive world of weightloss simple. If you’ve battled with your weight, we get it. We know it’s not your fault and know how to help. If the old tired advice of diet and exercise is not working for you please Click here to learn about our weightloss service and the six medical secrets to weightloss success. If you're worried that you're drinking too much, you've already taken the first step. The next one is to do something about it. While the solution to many of life's problems is rarely found in the bottom of a bottle there are a number of medications that are proven to help. Some of our doctors also have a special interest in addiction to other drugs. Take control today, book a confidential appointment now and get your life back on track. PBS listing for the new Hep C medications means all Australians are able to get government subsidised medication from your local pharmacy. In order to access the life changing medication you will need a prescription from a General Practitioner (GP) or liver specialist. We also see patients outside Australia and provide prescriptions and remote monitoring of generic Hepatitis C treatment as well as expert retreatment advice. More details can be found at Fixhepc.com. Many people find it hard to talk to their regular GP about sexual health matters, and instead suffer in silence. At GP2U we know that when it comes to sexual health confidentiality is paramount. 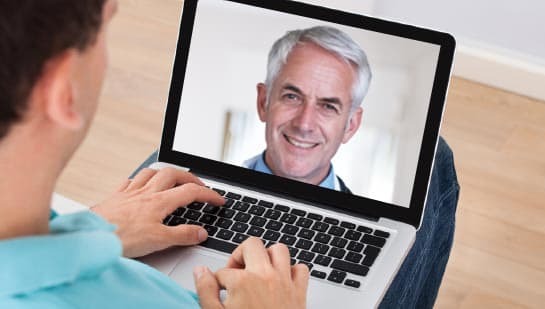 If you're doing FIFO and never seem to be able to find time to see a doctor during those precious days at home, why not see a doctor online while you are onsite?